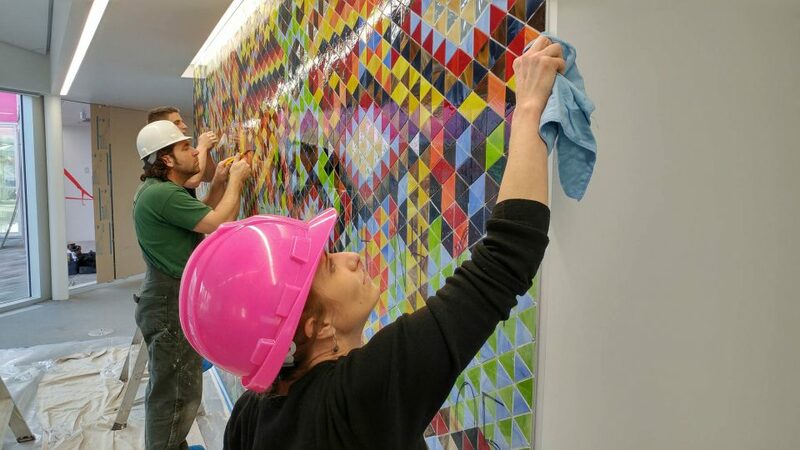 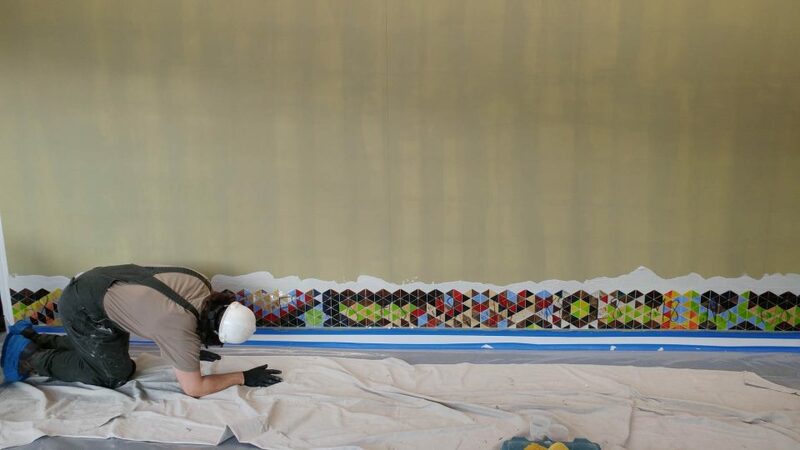 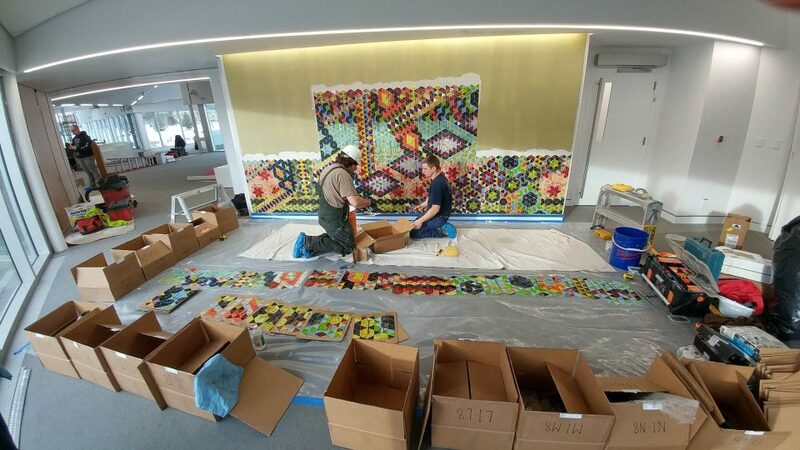 Watching the mosaic come together in its final form up onto the Community Room wall was an exciting process. 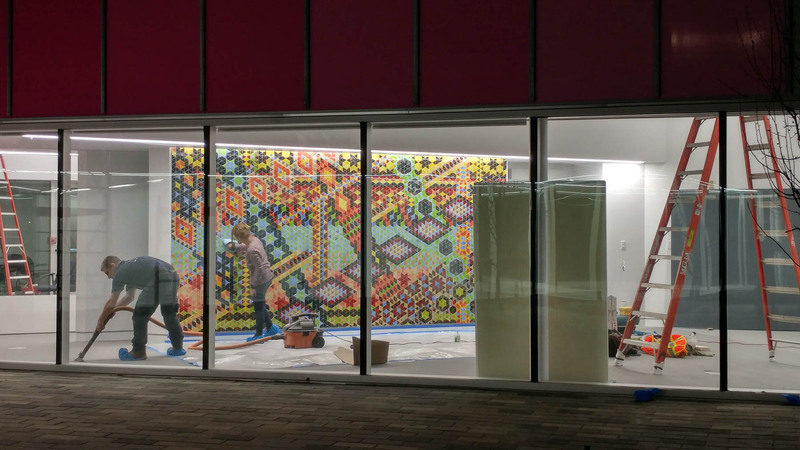 Each part of the overall pattern that forms the final mosaic design was sourced directly from members of the Calder Community who attended one of the community pattern workshops held in June 2016. 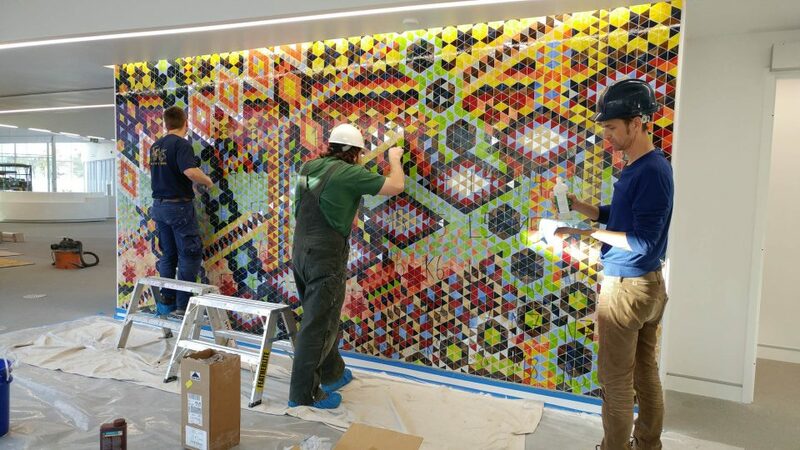 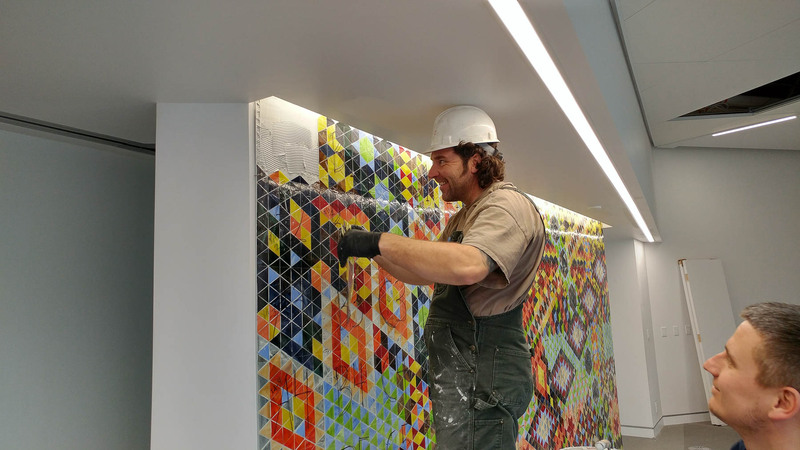 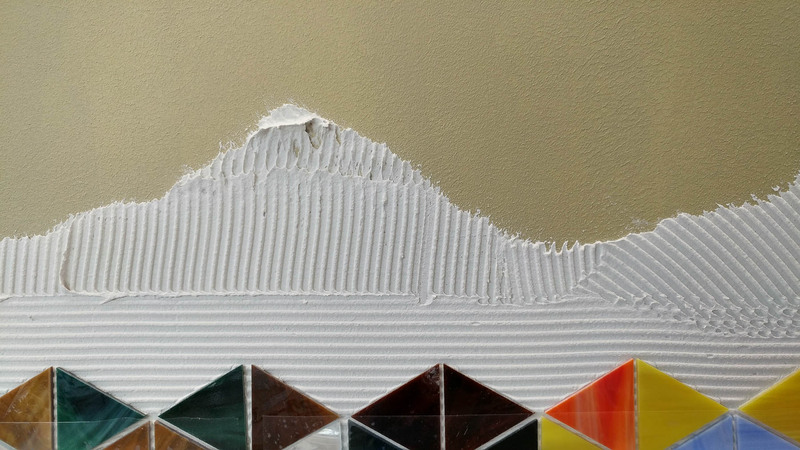 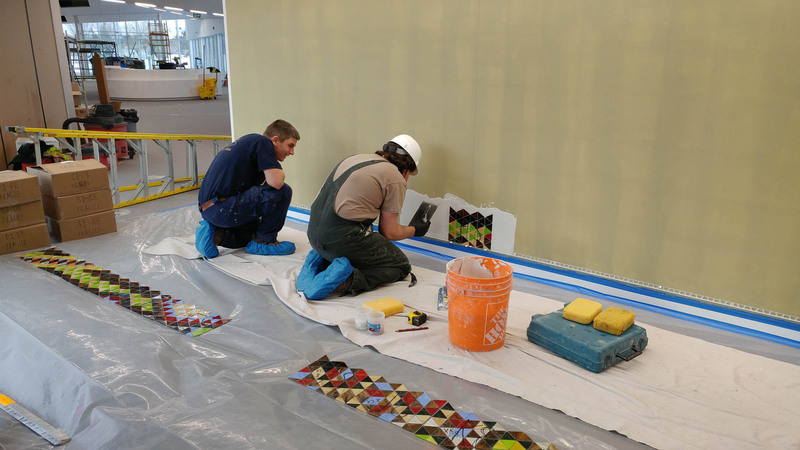 In the spirit of the project, the installation team worked together and over one full day we unboxed and prepared each numbered panel before Csaba Bereczki, Journeyman Installer and owner of The Tilesetter Company and his assistant Adam set the patterns in place up on the wall. 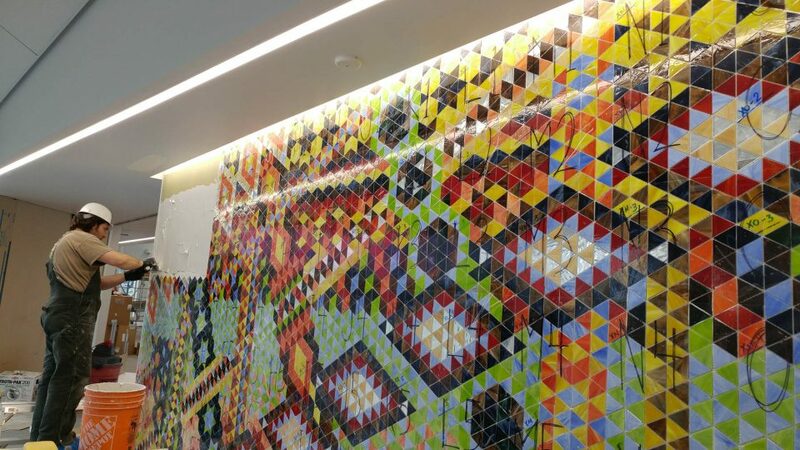 There is positive energy and everything is looking good!